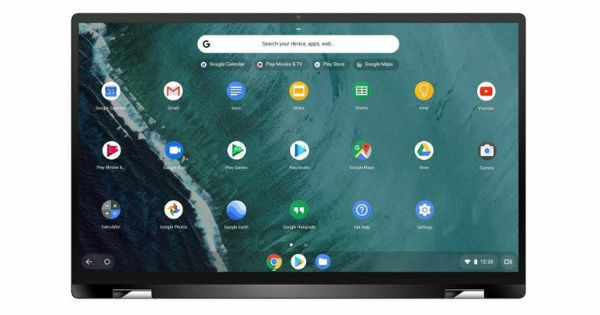 There is a feature called Instant Tethering available on Chrome OS, which automatically turns on the hotspot on the connected phone and tethers it to the Chromebook. This feature was only available on Google made Chromebooks and the Pixel smartphones. However, Google is now making this feature available for several new Chromebooks and Android devices. To be precise, Google is rolling out the Instant Tethering feature to 15 additional Chromebooks and 30 Android devices. This means, that if you use a Chromebook that isn’t Google branded, you can connect your non-Google device to it via the Instant Tethering feature. Instant Tethering will automatically tether your phone’s data to the Chromebook and get you connected to the web right away. Google stated that the feature will be rolling out to the new devices over the coming months. Once it is available on your supported Chromebook and Android device, it is super easy to activate. First, you will need to connect your Android smartphone to the Chromebook via Bluetooth. You will now see an option to connect to your phone if there’s no internet on your Chromebook. In the Settings app of your Chromebook, you will see the Instant Tethering option under Connected Devices. You can disable the feature from here if you don’t want to use your phone’s hotspot. Once connected, you will see your phone listed in the Quick Settings panel. You will also be able to see the battery status and network signal of your device. To conserve battery on your phone, the Chromebook will automatically disconnect if there is no activity for 10 minutes. Below is the list of all the Android phones and Chromebooks that will get this feature.